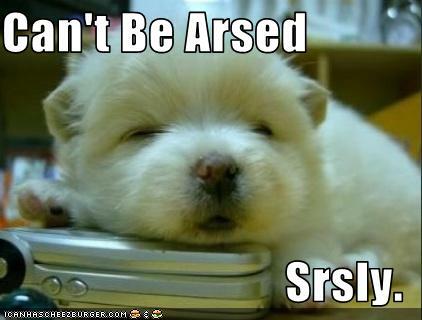 ….is how I have felt this week, all week, until this morning. My getupandgo got up and went, somewhere (I looked down the sofa cushions, no joy). The worrying thing is that I don’t think my workmates noticed any difference! So, I’m either like that a lot of the time, or was super-professional at hiding it. Mmmmmm, not sure. 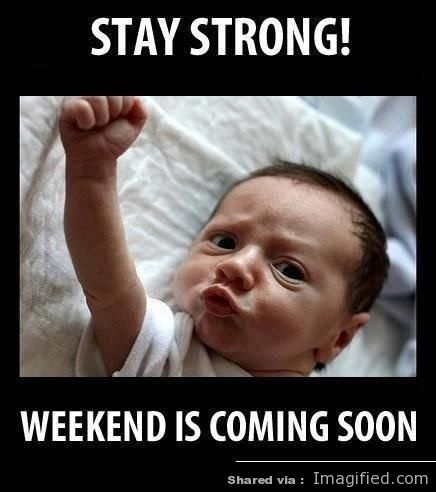 Anyway, back on track now, just in time for the weekend! Have a good one! This is my card for Mo’s Digital Challenge this week. This image is called ‘Checking FB’ and you can find it here. The theme for this weeks challenge is ‘Tickle my Funny Bone’, and I really like this illustration, but I think she could well be doing a spot of online shopping as I recognise that contented look on her face! 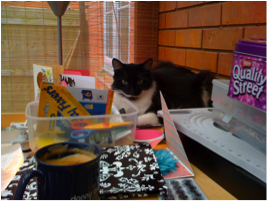 I think she has got up early, before everyone else in the house (only chance to get time on the laptop!) and is indulging in a spot of retail therapy. Welcome to my world! 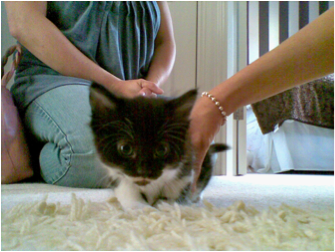 Yesterday we had a little chuckle at our crazy cat, Corky (cat royalty!) 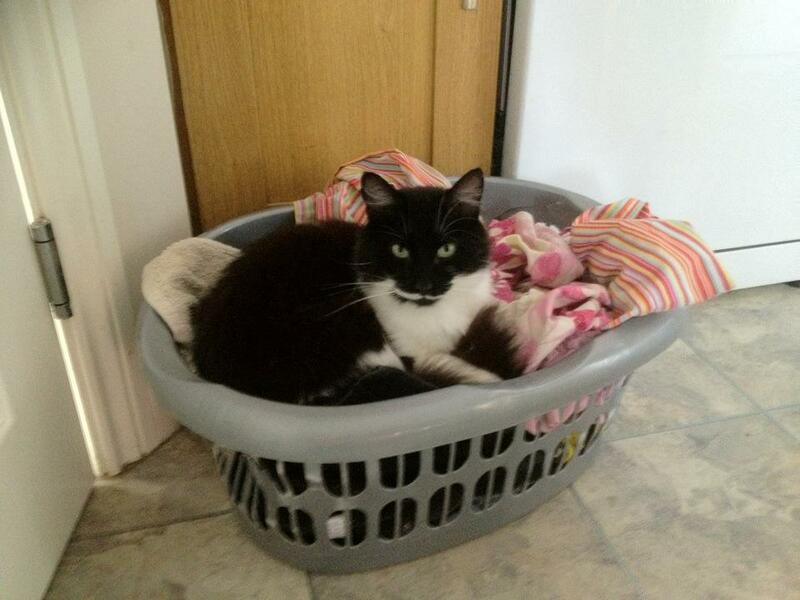 as he got comfy in the washing basket. 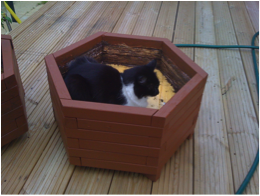 Then I realised that over the years we have built up quite a collection of pictures of his Majesty in a variety of different ‘beds’ as he follows his quest to find the perfect ‘throne’. 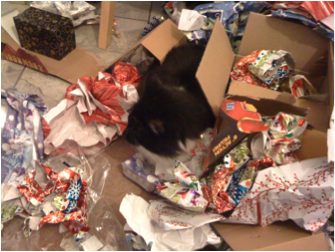 As you can see, his search has taken him from the wheelbarrow in warmer times, to the sink, an empty plant pot, a small box amongst the chaos of Christmas, and even the tumble dryer. One of his favourite spots is on, or sometimes in, THE Cupboard. From his position of choice he will doze whilst keeping ears alert, just in case I happen to wander towards the kitchen! This morning I have been busy making this little number. The image is from the super-talented Mo Manning and do you think I can find it anywhere on in her store now! So, no idea what it’s called but never mind, it’s pretty cute! So, the background paper is………. not sure on that either, oh dear, not doing very well here today am I?! What I DO know is that I have used Promarkers to colour, the scalloped edging is by Craftwork Cards, the little buttons are by Hobbycraft, the label is Martha Stewart (I’m thinking that I have used those a few times recently!) and the flowers are from Wild Orchid. I can’t seem to make a card these without popping some flowers on, it takes all of my self-control when I’m making a ‘man-card’! It is worth bearing in mind that getting flower adorned cards into standard envelopes is a problem, so if you do get a little flower crazy you’ll need to get some expandable envelopes for them. Hope you like it. Craft Passion Bag- On The Way! So I have started the bag that I showed you a picture of last week, and here are the two african flower hexagons that I have made so far. 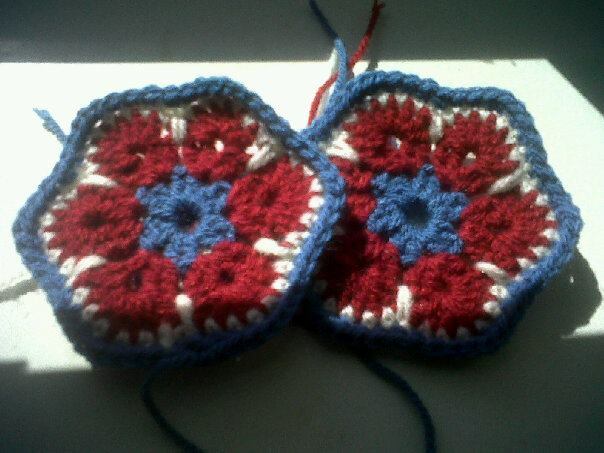 Remember that I said I was going to make it in vintage jubilee inspired colours? Well, this is what I decided on, what do you think? I think it should look pretty good, and even better, the little flower hex’s are enjoyable to hook and appear in no time at all. I forgot to give links to the website last time so here it is. The site is called Craft Passion, and is another winner in my humble opinion. The FREE pattern that I am following is well written and easy to follow and the photos are very clear. Any way, I have another 26 of these to do and 4 smaller ones…….. I may not be quite as enamoured with them at the end of it but we’ll see! I still haven’t figured out how I will make the handles as the ones on the pattern look tricky for a novice like myself! I will keep you posted readers! These cards both have diecut designs from Lili of The Valley. It’s funny because I don’t really like cutesie images on my cards, but I love LOTV stamps and have bought a few (ahem!) over the past year since discovering them. Perhaps it’s because they are so well drawn, I think they are adorable. The link to the website is here. it’s also well worth taking a look at their eBay outlet store for some bargains. 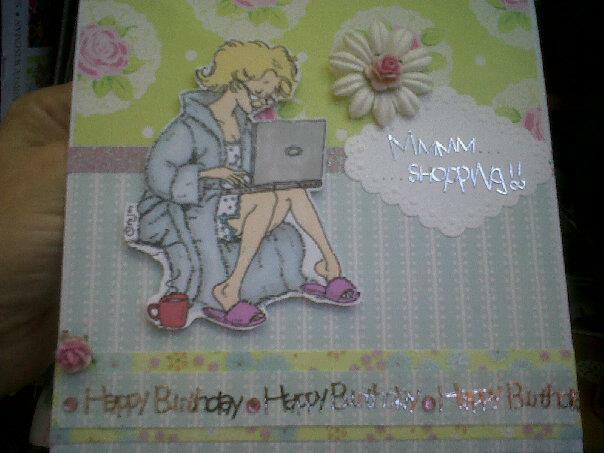 The images that I have used here are from a pack of mixed diecut designs, which I was really pleased with. 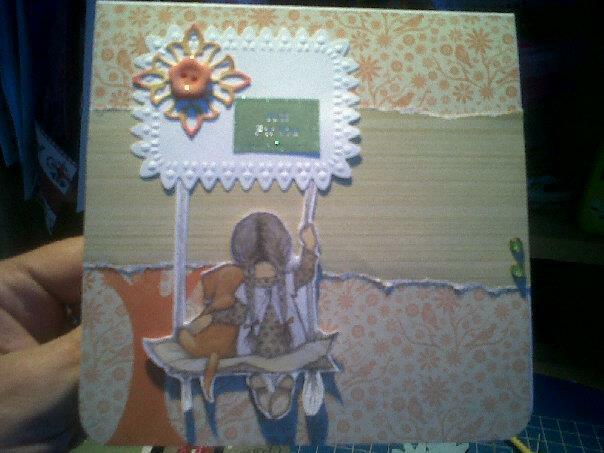 It included a great variety of pictures and they are ideal for quick card makes, or when inspiration is running low. 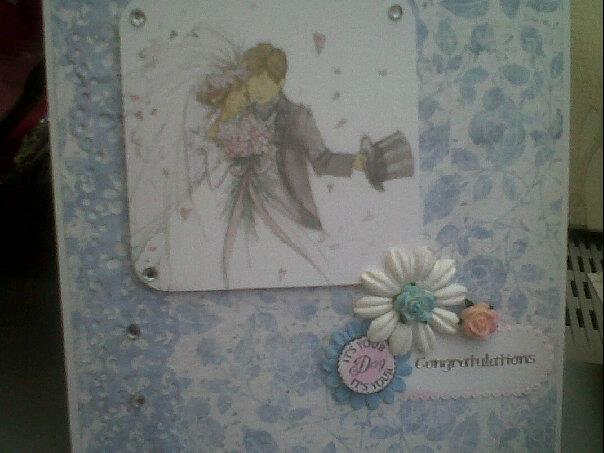 The wedding card has been made using the Nitwit papers that I got from Simply Homemade magazine. I am really into blue at the moment, and this shade of blue with white looks so fresh and clean. The swing card uses more of my fave colour combo’s, autumnal shades- and lets face it, the weather feels very autumnal at the moment. 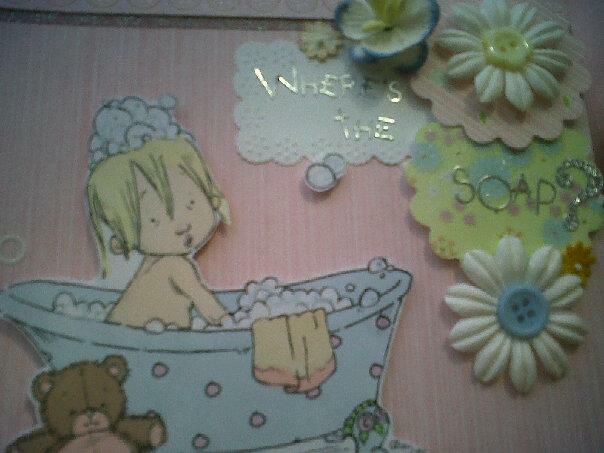 I used papers from the Papermania Songbird range as a background, and a Martha Stewart label for the greeting, with a K&Co sticky flower thing and a button. Two very quick but pretty cards.